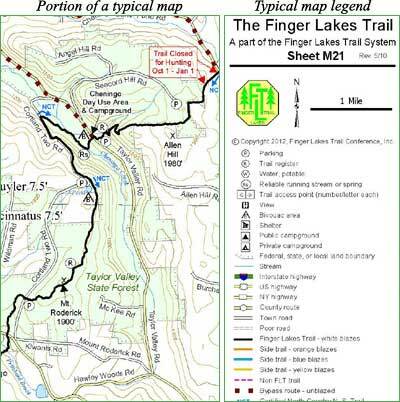 Approximately one-third of the Finger Lakes Trail System is on private property. This fact is most surprising to people getting to know about the FLT. At first, they assume that the FLT is government-run entity with taxpayers supporting the cost of hiking across New York State. In fact, the FLT is a private, non-profit, volunteer built and maintained footpath. The trail exists because of the dedication of its members and volunteers, the cooperation of state agencies responsible for our public lands, and the generosity of the private landowners who have shared the use of a small piece of their land with hikers. If you are one of our host landowners, first, a big THANK YOU from our members and FLT hikers, and second, please visit the Landowners Page for information about and for landowners. If you are a hiker, be aware of when you are hiking on sections of the trail on private property. Unless you are certain that you are on public lands, assume that it is private property. 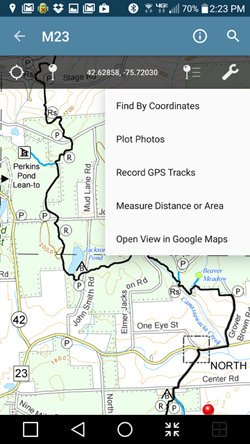 To protect landowner rights, all sections of the Finger Lakes Trail on private land are closed for 24 hours on the first Monday in February. 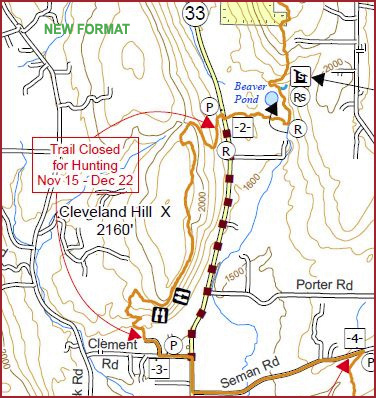 Some landowners choose to close their section of trail during hunting seasons, which may include turkey season in the spring, turkey season in the fall, and big game seasons in the fall (see hunting season dates here). 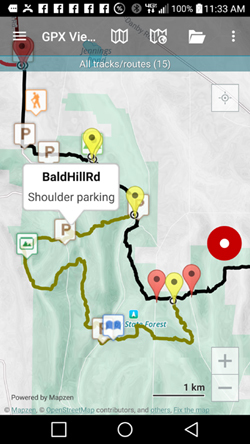 Private land trail closures are listed on maps and guidebooks published by the FLTC and in the Trail Condition Notices on this website. You must respect these closures in the interest of preserving good relations with our landowners. If you hike on a closed section of trail without permission you may be trespassing. Leave all gates open or closed the way you found them. Hike quietly; respect landowner privacy. Absolutely no fires or camping unless explicitly permitted. Remove any litter you find. If you encounter the landowner or family members, greet them and thank them for hosting the trail. If you notice any problems while hiking on trail sections on private land, please report them immediately to the FLTC Service Center.